If you think snow polo is just polo played on the snow, think again. An emerging winter sport that was only introduced in 1985 in St. Moritz, Switzerland, snow polo is more physically challenging than traditional polo as players move at high speeds on snowy terrains and extreme weather conditions. A complete snow polo game is played by three players on each team and lasts for 28 minutes, divided into four seven-minute periods called “chukkas”. As a rule, players are required to swap the horses between chukkas and each can only be ridden twice per game. Compared to a standard polo ball, snow polo ball is coloured, lighter, bigger and bouncier, which results in more unpredictable bounces. Reto Gaudenzi founded the world’s first snow polo tournament, The Snow Polo World Cup St. Moritz, in 1985. The St. Moritz native is also a professional polo player, who has successfully turned his passion for the sport into a world-class sporting event that attracts some of the biggest names in polo to compete for the coveted Cartier Trophy every year. Gaudenzi himself has won the St. Moritz World Cup five times and his son is also a polo player. You might recognise Figueras from Ralph Lauren’s men’s fragrance campaigns, or even from a photo of him and Prince Harry. The handsome Argentinian is not only a model for Ralph Lauren—he’s also one of the top polo players in the word, a St. Regis Connoisseur, the owner of around 300 ponies in his horse ranch in Argentina, and a father of four children who play polo—his son, Hilario, has recently turned professional and will be playing alongside him in the St. Regis team in Aspen this year. Nic Roldan might have a modeling career on the side but polo is his main forte. The Argentina-born American is the fourth-generation polo player whose father once played for the Sultan of Brunei. Most notable for his title as the youngest player in history to win the US Polo Open at the age of 15, Roldan, now at 35, is the captain of the U.S. Polo Team. He leads the U.S. Polo Assn. 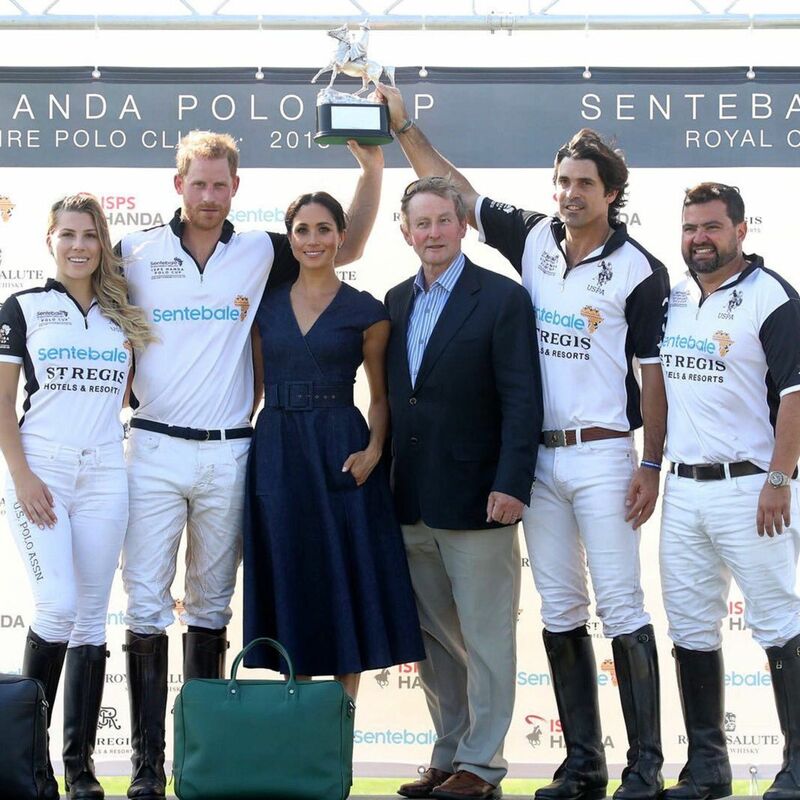 (with Grant Ganzi, Juancito Bollini)—which won the St. Regis World Snow Polo Championship in both 2015 and 2017—and was named Most Valuable Player for the fourth time in five years after scoring three goals in 2017. This year, the trio will return to defend their title. Known as the power couple in snow polo, Melissa and Marc Ganzi are the owners of Aspen Valley Polo Club and are the hosts of the star-studded St. Regis World Snow Polo Championship 2018, along with Nacho Figueras and his wife Delfina. Melissa Ganzi is the first woman to win the St. Regis World Snow Polo Championship in 2016 with Flexjet (alongside Jason Crowder and Jesse Bray) and in the same year, she made history as the first woman to compete in the St. Moritz Snow Polo World Cup. Since the couple founded the club in 2014, the sport has gained popularity in Aspen and become accessible to the public with the club’s offerings of weekly grass and arena tournaments. Their children, Grant and Riley, are the rising stars of snow polo. Rommy Gianni has led Team Cartier to take home the coveted Cartier Trophy at the Snow Polo World Cup St. Moritz for three years in a row since 2016. Born in Rome and raised in Monaco, Gianni was introduced to polo by his father, with whom he began to share teams from the age of 21. He founded the Monte Carlo Polo Team in 2012, with an aim to play polo internationally with the (red and white) colours of the Principality of Monaco and dedicate a significant aspect of the team profile to philanthropic work.